The internet is a vast interconnection of computer networks comprised of millions of computing devices. Desktop computers, mainframes, smartphones, tablets, GPS units, video game consoles and smart devices all connect to the internet. No single organization owns or controls the internet. The World Wide Web, or web for short, is the space where digital content is served to users of the internet. The web contains the most popular content on the internet and—most likely—much of the content that beginning internet users ever see. For a beginner who strives to make sense of the internet and the World Wide Web, an understanding of basic terms is bound to be helpful. Beginning and advanced internet users all access the web through web browser software, which is included on computers and mobile devices at the time of purchase. Other browsers can be downloaded from the internet. A browser is a free software package or mobile app that lets you view web pages, graphics, and most online content. 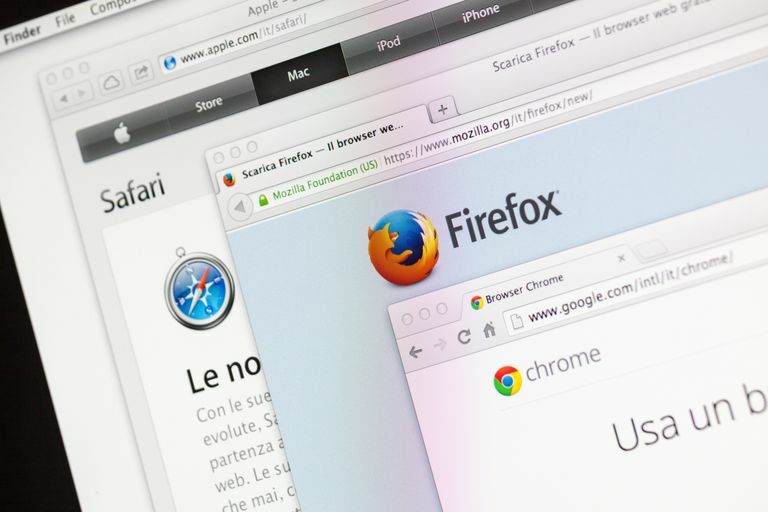 The most popular web browsers include Chrome, Firefox, Internet Explorer, and Safari, but there are many others. Browser software is specifically designed to convert HTML and XML computer code into human-readable documents. Browsers display web pages. Each webpage has a unique address called a URL. A webpage is what you see in your browser when you are on the internet. Think of the webpage as a page in a magazine. You may see text, photos, images, diagrams, links, advertisements and more on any page you view. Often, you click or tap on a specific area of a webpage to expand the information or move to a related web page. Clicking on a link—a snippet of text that appears in color different from the rest of the text—takes you to a different webpage. If you want to go back, you use the arrows provided for that purpose in just about every browser. Several web pages on a related subject make a website. Sometimes they are longer and more complicated, but they all follow acknowledged rules for naming URLs. The protocol is the portion ending in //: Most web pages use the protocol http or https, but there are other protocols. The host or top-level domain, which frequently ends in .com, .net, .edu or .org but can also end in one of many others that have been officially recognized. The filename or page name itself. HTTP is the acronym for "Hypertext Transfer Protocol," the data communication standard of web pages. When a web page has this prefix, the links, text, and pictures should work properly in your web browser. HTTPS is the acronym for "Hypertext Transfer Protocol Secure." This indicates that the webpage has a special layer of encryption added to hide your personal information and passwords from others. Whenever you log in to your online bank account or a shopping site that you enter credit card information into, look for "https" in the URL for security. Hypertext Markup Language is the programming language of webpages. HTML commands your web browser to display text and graphics in a specific fashion. Beginning internet users don't need to know HTML coding to enjoy the webpages the programming language delivers to browsers. XML is eXtensible Markup Language, a cousin to HTML. XML focuses on cataloging and databasing the text content of a web page. Every computer, cell phone and mobile device that accesses the internet is assigned an IP address for tracking purposes. It may be a permanently assigned IP address, or the IP address may change occasionally, but it is always a unique identifier. Wherever you browse, whenever you send an email or instant message, and whenever you download a file, your IP address serves as the equivalent of an automobile license plate to enforce accountability and traceability. You need an Internet Service Provider to get to the internet. You may access a free ISP at school, a library or work, or you may pay a private ISP at home. An ISP is the company or government organization that plugs you into the vast internet. An ISP offers a variety of services for a variety of prices: web page access, email, web page hosting and so on. Most ISPs offer various internet connection speeds for a monthly fee. You may choose to pay more for high-speed internet connection if you like to stream movies or select a less expensive package if you use the internet mostly for light browsing and email. A router or router-modem combination is the hardware device that acts as the traffic cop for network signals arriving at your home or business from your ISP. A router can be wired or wireless or both. Your router provides a defense against hackers and directs content to the specific computer, device, streaming device or printer that should receive it. Often your ISP provides the network router it prefers for your internet service. When it does, the router is configured appropriately. If you choose to use a different router, you may need to enter information into it. Email is electronic mail. It is the sending and receiving of typewritten messages from one screen to another. Email is usually handled by a webmail service—Gmail or Yahoo Mail, for example, or an installed software package such as Microsoft Outlook or Apple Mail. Beginners start by creating one email address that they give to their family and friends. However, you aren't limited to one address or email service. You may choose to add other email addresses for online shopping, business or social networking purposes. Spam is the jargon name of unwanted and unsolicited email. Spam email comes in two main categories: high-volume advertising, which is annoying, and hackers attempting to lure you into divulging your passwords, which is dangerous. Filtering is the popular-but-imperfect defense against spam. Filtering is built-in to many email clients. Filtering uses software that reads your incoming email for keyword combinations and then either deletes or quarantines messages that appear to be spam. Look for a spam or junk folder in your mailbox to see your quarantined or filtered email. To protect yourself against hackers who want your personal information, be suspicious. Your bank won't email you and ask for your password. The fellow in Nigeria doesn't really need your bank account number. Amazon isn't handing you a free $50 gift certificate. Anything that sounds too good to be true probably isn't true. If you are unsure, do not click any links in the email and contact the sender (your bank or whomever) separately for validation. Social media is the broad term for any online tool that enables users to interact with thousands of other users. Facebook and Twitter are among the largest social networking sites. LinkedIn is a combination social and professional site. Other popular sites include YouTube, Google+, Instagram, Pinterest, Snapchat, Tumblr, and Reddit. Social media sites offer free accounts to everyone. When selecting the ones that interest you, ask your friends and family which ones they belong to. That way you can join a group where you already know people. As with all things internet related, protect your personal information when you sign up for sites. Most of them offer a privacy section where you can choose what to reveal to other users of the site. E-commerce is electronic commerce—the transaction of business selling and buying online. Every day, billions of dollars exchange hands through the internet and World Wide Web. Internet shopping has exploded in popularity with internet users, to the detriment of traditional brick-and-mortar stores and malls. Every well-known retailer has a website that showcases and sells its products. Joining them are dozens of small sites that sell products and enormous sites that sell just about everything. E-commerce works because reasonable privacy can be assured through HTTPS secure web pages that encrypt personal information and because reliable businesses value the internet as a transaction medium and make the process simple and safe. When shopping on the internet, you are asked to enter a credit card, PayPal information or other payment information. Encryption is the mathematical scrambling of data so that it is hidden from eavesdroppers. Encryption uses complex math formulas to turn private data into meaningless gobbledygook that only trusted readers can unscramble. Encryption is the basis for how we use the internet as a pipeline to conduct trusted business, like online banking and online credit card purchasing. When reliable encryption is in place, your banking information and credit card numbers are kept private. Authentication is directly related to encryption. Authentication is the complex way that computer systems verify that you are who you say you are. Download a trial copy of Microsoft Office. The larger the file you are copying, the longer the download takes to transfer to your computer. Some downloads take seconds; some take minutes or longer depending on your internet speed. Webpages that offer material that can be downloaded are usually clearly marked with a Download button (or something similar). Cloud computing began as a term to describe software that was online and borrowed, instead of purchased and installed on your computer. Web-based email is one example of cloud computing. The user's email is all stored and accessed in the cloud of the internet. The cloud is the modern version of the 1970s mainframe computing model. As part of the cloud computing model, software as a service is a business model that assumes people would rather rent software than own it. With their web browsers, users access the cloud on the internet and log in to their online rented copies of their cloud-based software. Increasingly, services offer cloud storage of files to facilitate the ability to access your files from more than one device. It is possible to save files, photos, and images in the cloud and then access them from a laptop, cell phone, tablet or another device. Cloud computing makes collaboration among individuals on the same files in the cloud possible. Firewall is a generic term to describe a barrier against destruction. In the case of computing, a firewall consists of software or hardware that protects your computer from hackers and viruses. Computing firewalls range from small antivirus software packages to complex and expensive software and hardware solutions. ​Some firewalls are free. Many computers ship with a firewall you can activate. All the many kinds of computer firewalls offer some kind of safeguard against hackers vandalizing or taking over your computer system. Just like everyone else, beginners to the internet should activate a firewall for personal use to protect their computers from viruses and malware. A trojan is a special kind of hacker program that relies on the user to welcome it and activate it. Named after the famous Trojan horse tale, a trojan program masquerades as a legitimate file or software program. Sometimes it is an innocent-looking movie file or an installer that pretends to be actual anti-hacker software. The power of the trojan attack comes from users naively downloading and running the trojan file. Protect yourself by not downloading files that are sent to you in emails or that you see on unfamiliar websites. Phishing is the use of convincing-looking emails and web pages to lure you into typing your account numbers and passwords/PINs. Often in the form of fake PayPal warning messages or fake bank login screens, phishing attacks can be convincing to anyone who is not trained to watch for the subtle clues. As a rule, smart users—beginners and long-time users alike—should distrust any email link that says "you should log in and confirm this." A blog is a modern online writer's column. Amateur and professional writers publish blogs on most every kind of topic: their hobby interests in paintball and tennis, their opinions on healthcare, their commentaries on celebrity gossip, photo blogs of favorite pictures or tech tips on using Microsoft Office. Absolutely anyone can start a blog. Blogs are usually arranged chronologically and with less formality than a website. Many of them accept and respond to comments. Blogs vary in quality from amateurish to professional. Some savvy bloggers earn reasonable incomes by selling advertising on their blog pages.